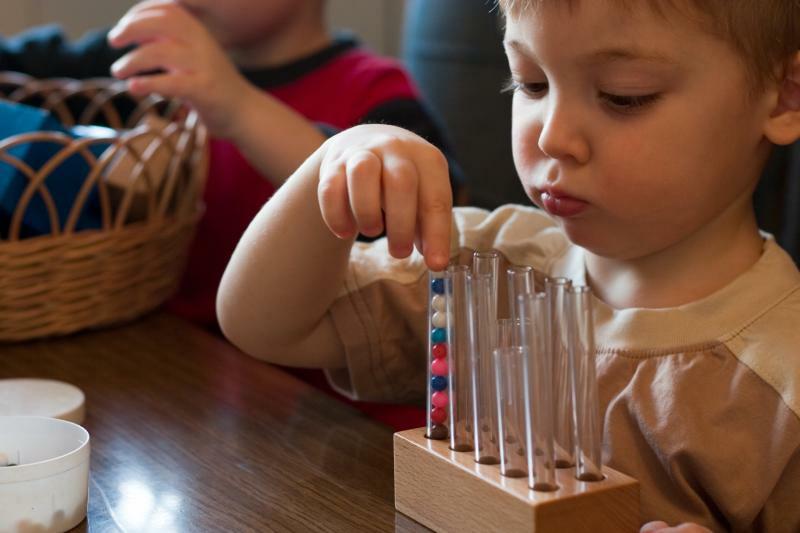 Keller Montessori School is the oldest and finest Montessori school in the city of Keller. Our program is frequently selected by public school teachers to educate their own children. We have happily served our families since 1993. The school is located in the historic, former, Keller post office on a quiet street in old town Keller, Texas. Behind the school is Bates Street Park. This park is a wonderful place for our children to play. We work on reading skills and mathematics with all of our students. In phonics the children soon start forming little words and writing them. From this tender stage, children start to read. The Practical Life classroom materials are also hands-on and help the children learn to become more independent while developing their fine motor skills. Little hands gain dexterity while learning how to "do it for myself". Children gain greater large-motor skills by using the Sensorial classroom materials. Little minds discover the differences between large and small, hard and soft, hot and cold. Science and Geography help our students gain a better understanding of the environment around them and the many places in our world. To further expand the children's minds, we introduce them to the Spanish language using a program designed for young minds. Children need to learn some tasks through repetition. We encourage our students by renewing and changing out several of our learning materials each month. In this way our children always find school exciting. Little hands always have something new to do. We never want little ones to become bored with learning! We learn rhythm and self-expression through art and music time. Creative dramatics gives us an opportunity to put on a play for our friends. Our children enjoy the self-reliance and the self-confidence that only a Montessori program can offer. Children are capable beings who can learn and challenge themselves.